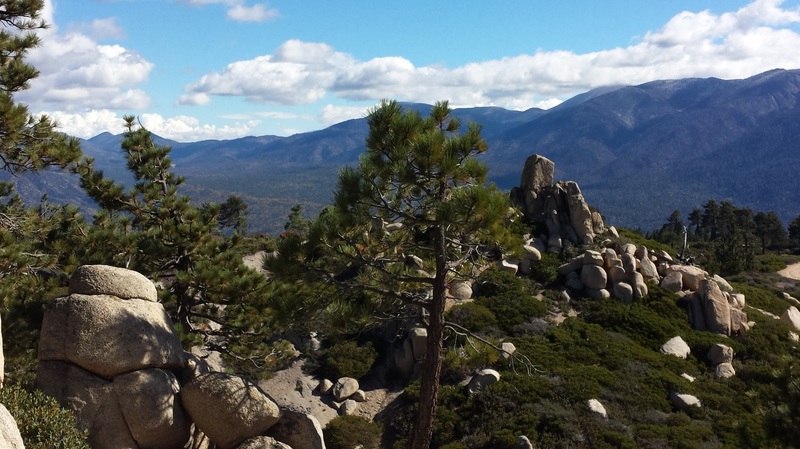 We left Kernville on Wednesday morning and headed for our next destination. Leaving the very sad Lake Isabella, we went over Walker’s Pass and found ourselves traveling through the desert. It was overcast and there were definite rain clouds. We could even see the rain falling, but none of it hit the ground except for a few drops on the windshield. The route led us past dry lake after dry lake. 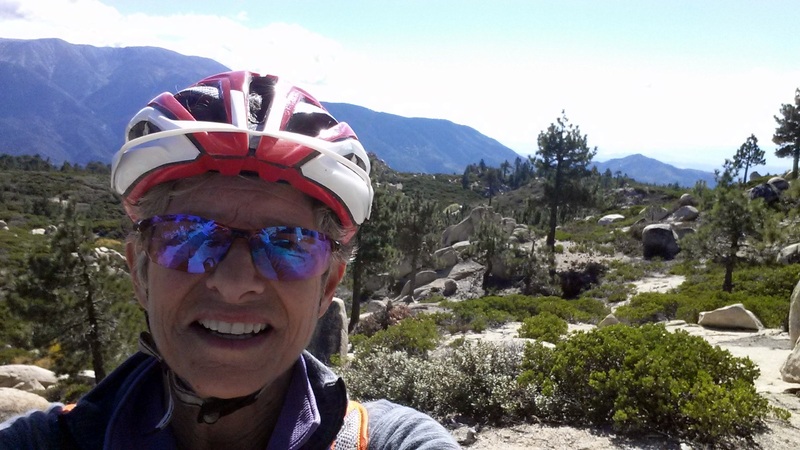 Then we climbed into the San Bernardino mountains and came to Big Bear Lake. This is definitely a resort town. There are two mountains here and one more just west. By our comparison, they don’t have much elevation. The two areas were bought by Mammoth Mtn this summer, but there usually isn;t enough snow to be able to ski from one to the other. Big Bear Lake still has water, it is down 14 feet. The lake is not fed by any river, just from the snow melt coming off the ridge. There area lots of second homes, ski shops, restaurants, etc. We got the beta on the Skyline trail and rode it on Thursday. 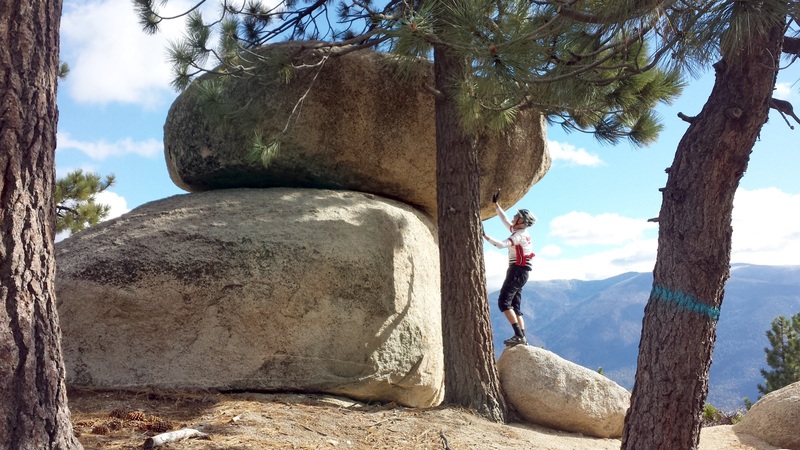 It starts on a paved road and we climbed and kept thinking we missed the trail. Just after we called the shop to make sure we didn’t miss a turn, the trail took off into the woods. It is by far one of the best rides we have done. The elevation 7400 to 7900 feet made us gasp a few times on what looked like small climbs, but the trail was so well designed and the scenery so beautiful, you soon forgot about the lack of O2. 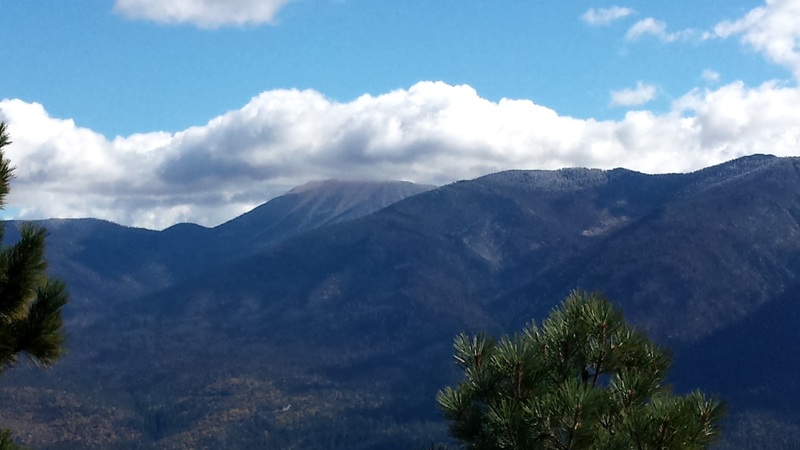 Mt San Gorgonio (the summit in the clouds) is the tallest peak in southern CA. 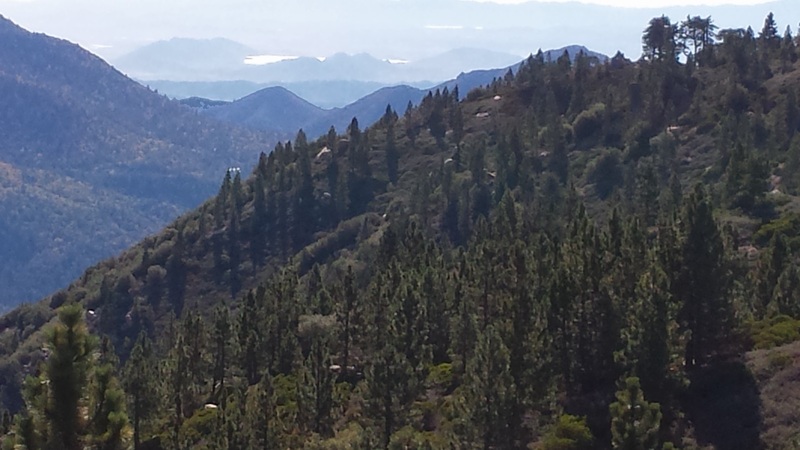 We could look south into the Santa Ana river drainage (where we will ride tomorrow). The Santa Ana winds kicked up and on the ridge the winds was over 25 mph and when the sun went behind the clouds it was pretty chilly. The ride from the top down Pine Knot was a blast!